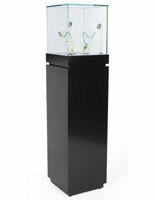 This museum showcase with lighting features a 17" lift-off top for accessing items of interest for your customers. 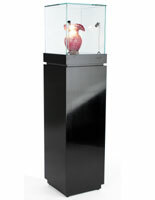 This illuminated display case is perfect for jewelry stores, galleries, and other upscale environments. 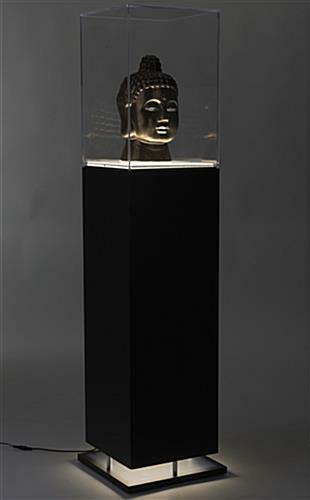 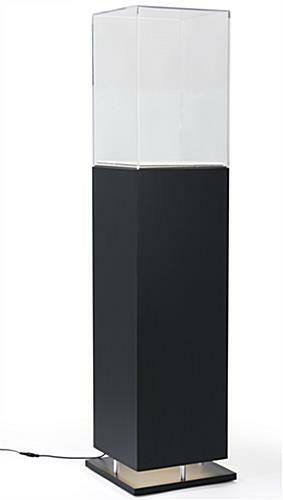 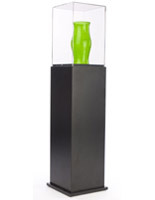 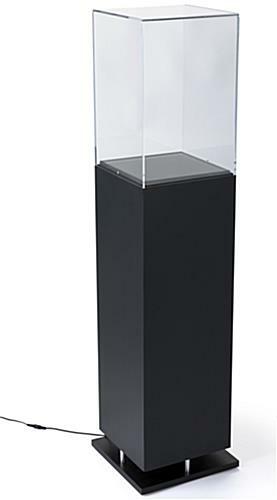 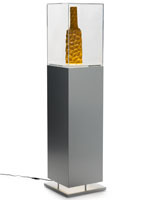 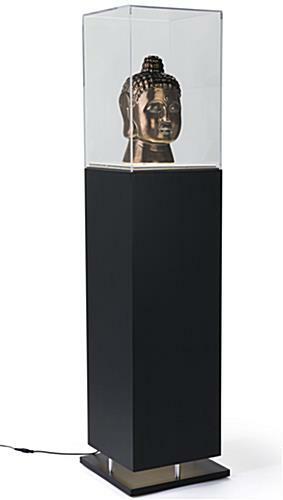 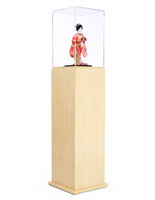 This showcase with lighting has a sleek, black pedestal design with a clear acrylic top. 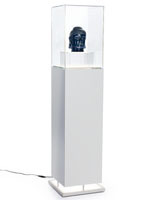 The contents inside the square enclosure is bathed in ambient LED light. 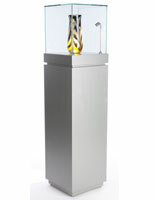 With sleek, modern lines, this showcase with lighting for museums and boutiques looks stunning in any environment showcasing collectibles or artifacts.